Atlanta Hawks fans have been quite savage the last few games. A few days ago, the Golden State Warriors were in town and they gave Kevin Durant an ear full when they chanted “Draymond hates you,” while he shot free throws. On Wednesday, the Washington Wizards were in town without the help of John Wall, but he would make his mark on this game without playing. 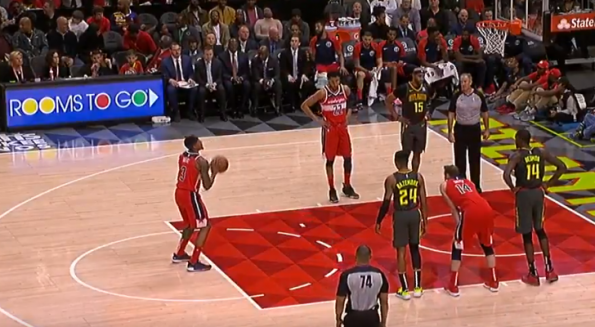 While at the free throw line, Hawks fans chanted “John Wall hates you” at Bradley Beal, basically referring to the many rumors of in-fighting between players during their rough start to the season.